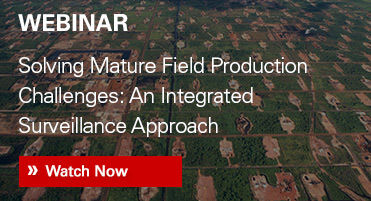 DecisionSpace® Production Engineering software can help maximize production, increase recovery and improve efficiency by combining advanced production engineering tools with cross-domain workflows for more complete asset understanding. 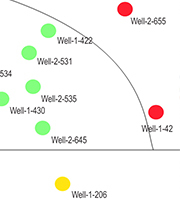 Managers, petroleum engineers and geoscientists can pinpoint problem wells more quickly, are more productive, and deliver better production outcomes. 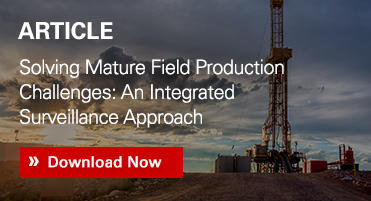 A proven solution for mature fields, the value of DecisionSpace® Production Engineering software has been widely demonstrated in many cases, including complex offshore operations and high well counts onshore assets with more than 30,000 wells. A mature offshore operation in Asia Pacific cut costs by more than USD 30 million through implementing integrated production workflows delivered by DecisionSpace® Production Engineering software. 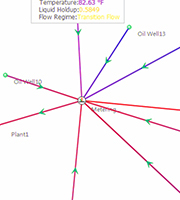 Production decision makers can solve problems faster by using updated production information with well and network flow models, interactive visualizations, production trending, bubble mapping, and integrated diagnostics workflows. Finding and solving problems can be reduced from days to minutes across thousands of wells. From daily production troubleshooting to asset flow assurance challenges, engineers can quickly perform production optimization, select and size artificial lift equipment, run sensitivity analyses to design changes, and conduct debottlenecking analysis. Using the interactive model builder, engineers can model and estimate production and injection rates on the surface and downhole. Engineers and geoscientists can quickly predict potential individual well declines, estimate remaining recoverable reserves, and assess reservoir and field-wide depletion strategies by using ready access to production information that is integrated with advanced forecasting tools. 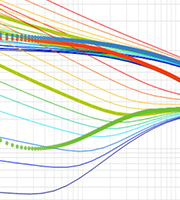 Combining production forecasts with flow models, engineers can more confidently compare flow predictions and calibrate forecasts with physical flow limits.